MathRider » Blog » Is Your Irritable Child Really Bipolar? 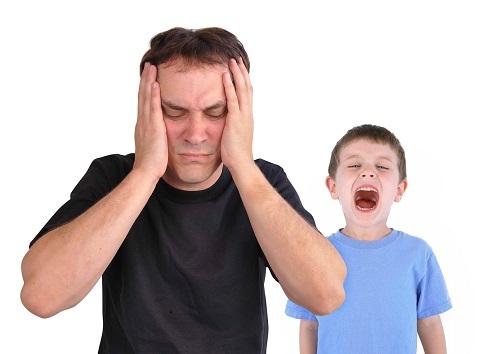 Is Your Irritable Child Really Bipolar? An irritable child will exhibit bouts of moody behavior, no exceptions. Temper tantrums and talking back to parents or teachers are very much expected. Some children will appear to be more irritable than others though, to the point where it leads parents to worry about their mental health, and mental health professionals to diagnose them with bipolar disorder. This however, should not really be the case, says Stuart L. Kaplan, M.D. in an article for PsychologyToday. According to Dr. Kaplan, irritability has been a major source of the overdiagnosis of bipolar disorder in children and adolescents. He points to the child psychiatry division at Harvard University as insisting that extreme irritability makes up the core symptom of bipolar disorder in preschool children, school aged children, and adolescents. This point of view, however, has already been rejected by the National Institute of Mental Health as well as the DSM-5 Children’s Committee, says Dr. Kaplan. To better diagnose children who are chronically irritable, the DSM-5 Children’s Committee came up with Disruptive Mood Dysregulation Disorder (DMDD), under which children who have a minimum of three temper tantrums per week with a persistently angry or irritable mood between the temper outbursts are categorized. Dr, Kaplan maintains there is little to support claims that irritability alone is diagnostic of bipolar disorder in children and adolescents, and I totally agree. For far too long, countless children who have exhibited irritability have been misdiagnosed with bipolar disorder. Worse, these misdiagnosed children have been given medications that are being used to treat the condition in adults. Personally, I think that if you have a chronically irritable child and some doctor diagnoses him or her to have bipolar disorder, always get a second opinion. And please, no pharmacological agents, not for someone so young. This entry was posted on Tuesday, November 19th, 2013 at 7:04 pm	and is filed under Commentary. You can follow any responses to this entry through the RSS 2.0 feed. You can skip to the end and leave a response. Pinging is currently not allowed.